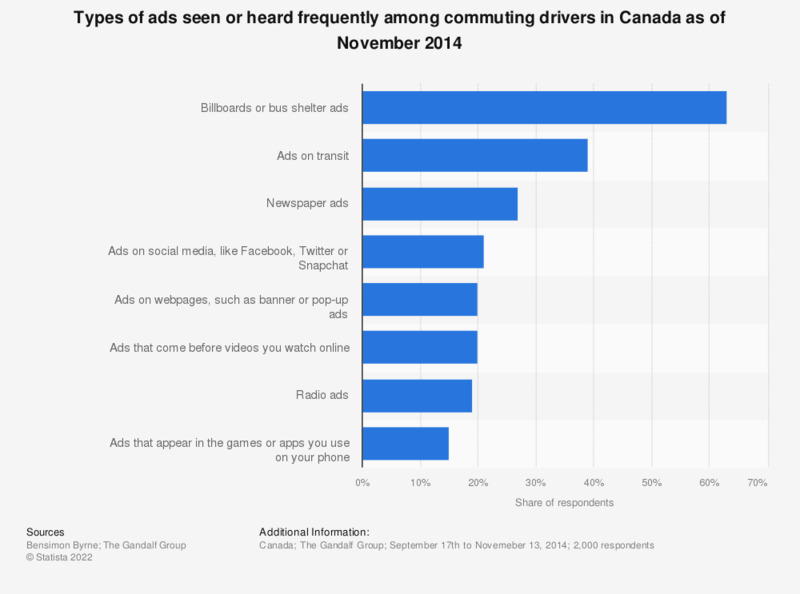 This statistic shows the exposure of advertising among drivers in Canada as of November 2014. During the reported period, 63 percent of respondents reported that they were frequently exposed to radio ads during their commute. An oversample of n=500 GTA residents was conducted November 10th to 13th, proportionate to the gender and age distribution of the region.